I’d been thinking about the Eye of Sauron as a metaphor for how top-level decision-making works (kind of an obsession of mine!) 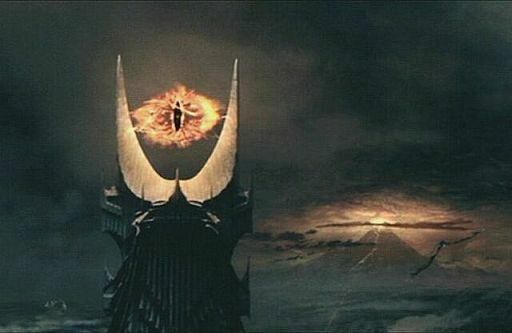 for some time when Slate ran an article comparing Sauron’s Eye to the surveillancestate. It’s a good article, but does not quite capture the essence of the Eye (although it does a good job comparing Mordor to a police state – another book that does that is Watership Down). Sauron’s Eye can only look upon a place at a time, whereas the NSA can effectively read pretty much everything all the time. However, the ability of policy-makers to act on this information is limited by what they choose to focus on – that’s the essence of the Eye. LOTR ends with the good guys (Men of the West!) launching a huge attack on Mordor, not because they can win but because it will distract Sauron while the Hobbits schlep the ring to Mt. Doom to destroy it. (Sorry if I gave anything away – it’s still a good read or view.) The plan works, because Sauron’s armies are drawn away to counter the attacking army while the Eye itself has to focus on the battle. I’ve been thinking about this since April when, after the Boston bombing, suddenly everyone was interested in Chechnya again. But, Chechnya is a complicated far-away place with a surplus of clan warfare and crime, which has also been brutalized by the Russians. How much effort does the President want to expend on this kind of thing? What’s more, anything the US would want to do in Chechnya would involve Russia. So first the President has to engage Russia (and probably give them stuff) to get better access to Chechnya and then the pot of gold is getting sucked into the perennial Hatfields & McCoys of the Caucuses. If we had dozens of attackers coming to the US from Chechnya killing hundreds a year maybe we’d have to do exactly that. But we don’t. I’m sure on an administrative level the appropriate national security agencies put additional modest resources on the Chechnya beat, but that’s about it especially since Syria flared up. One thing the Iraq war did do was devour the time and energy of the decision-makers. I heard that at the height of the violence there was a Deputies Committee meeting everyday about Iraq. That is an enormous amount of work. The Deputies are the number 2s (busy people!) at the key departments (State, Defense, Justice National Security Council and usually several others.) They try to resolve issues and if they can’t tee them up for the Principals – the big bosses. The Deputies Committee really is the working group for the government. So if they were spending all of their time on Iraq it meant other stuff isn’t getting to the Deputies – let alone to the President. We just learned that military options in Syria would cost at least a billion dollars a month. If there were a clear benefit to the expenditure it would be a bargain. But we aren't sure where a war in Syria would lead. But it would become the dominant item on the President's desk for the foreseeable future at the expense of innumerable other priorities. Now Egypt is in the headlines. The ideal policy for Egypt is obvious – use financial aid and the need for international legitimacy to press the Egyptian junta to develop and follow-through on a Constitutional process while liberalizing the economy. By the way, we sort of tried that already with the Gore-Mubarak Commission in the 1990s – check out my paper on a similar effort with Russia. Both efforts had mixed results. First, getting other countries to do what you want is really hard (that should be IR 101). And to have a chance of getting other countries to do what you want the President needs to sit on them. So my proposed Egypt policy would require the President to be desk officer for Egypt and Egypt just isn’t that important. Why can’t the President set a policy and have Ambassadors and what have you carry it out? Without clear and direct Presidential support, the country in question will ignore or slow-walk the President’s envoys. Serious threats require follow-through to be credible and for that the President will have to put in real effort to make them happen – Ambassadors usually don’t have a sufficient arsenal. Another way to view it is like parenthood (another hobby of mine.) You want your kid to NOT do X and TO do Y. The kid really doesn’t want to do Y and has a lot more energy to devote to the issue than you do. You have a job, maybe other kids, a house to run etc. Your kid has nothing to think about but this particular problem. So the kid may not do X, but will successfully distract you enough to avoid doing Y. If you are willing to focus your day on getting the kid to do Y – it can probably happen but then you won’t get to clean the kitchen, watch your shows, or play Sudoku on your phone. You managed to get the kid to not do X, but do you really want to put in the enormous extra effort for Y to happen? It would be kind of like that with Egypt. They'd help on security in the Sinai but resist any serious economic liberalization or establishing a real Constitution. We'd hold back aid, but then they'd warn that without aid the couldn't control the country - you can see how this goes. Until the Eye of Sauron learns to delegate and establish some networked institutions among the orcs, it will be forced to flit from crisis to crisis. 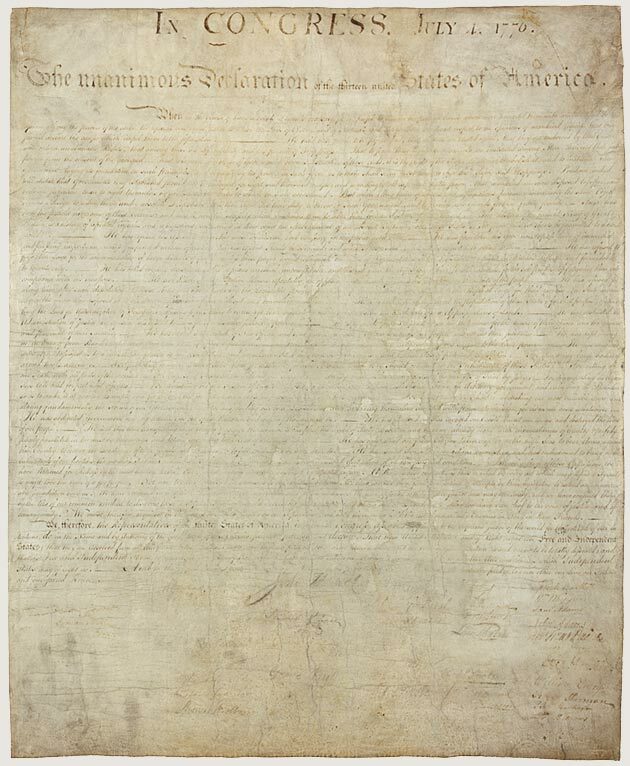 We hold these truths to be self-evident, that all men are created equal, that they are endowed by their Creator with certain unalienable Rights, that among these rights are Life, Liberty, and the pursuit of Happiness.--That to secure these rights, Governments are instituted among Men, deriving their just powers from the consent of the governed. A political philosopher must be precise and define terms carefully. A politician has the freedom to paint with a broad-brush and inspire the polity. Where Locke is precise, Jefferson is elegant. But I am most struck by the shift from estate to happiness. Perhaps is was merely an inspirational turn of phrase, but its impact is profound. Every art and every investigation, and similarly every action and pursuit is considered to aim at some good.... If, then, our activities have some end which we want for its own sake, and for the sake of which we want all the other ends - if we do not choose everything for the sake of something else (for this will involve an infinite progression, so that our aim will be pointless and ineffectual) - it is clear that this must be the Good, that is the supreme good. As for the life of the business man, it does not give him much freedom of action. Besides, wealth is obviously not the good that we are seeking, because it serves only as a means; i.e. for getting something else. Jefferson evolves Locke's framework and inserts it into our political DNA. We do not merely have a government to protect our property. Property, particularly Locke's "estate" is the necessary means. But Jefferson wants to inspire us to seek our end, to pursue happiness. There are no promises that we can be happy, but rather that this is the point of the whole exercise. To quote another great American, Yaakov Smirnov, "What a country!" It is fair to say that the United States - like every nation - is founded upon piles of bones. We have a government that - at time - has systematically prevented individuals from the pursuit of happiness in a profound way. But on July 4 we also recall the words of Lincoln - a match for Jefferson as a writer and politician - and his tremendous efforts to set right that great injustice. But that will have to be a post for another time. I have some happiness to pursue.